Holme Grange Fishery situated in Wokingham, Berkshire, is a £10 day ticket water which is owned by Crowthorne Angling Centre. 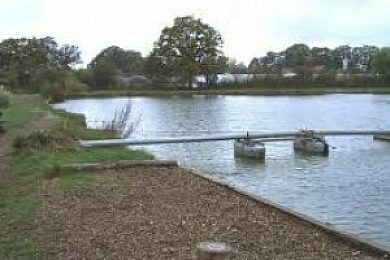 The 3 acre lake is stocked with a large head of carp, roach, and a few tench and bream. The carp reach 30lb, and the roach go to 3lb. There are 20 pegs along the bankside, all of which are similar. The depth is 3-4 foot in the margins, and around 20 foot in the centre. There are onsite toilet facilities, and a caravan-cafe for hot and cold drinks! What time does the fishery close at Holme Grange?